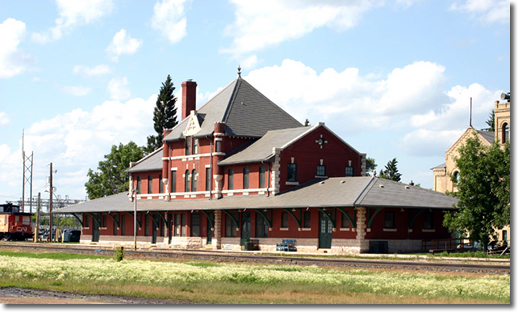 A 1987 study of railway stations in Manitoba, from the early 1880s to the 1950s, focusing on the main developments affecting the evolution of this essential building type. The original version of this study also features an inventory of 128 station buildings. That study is available in many public libraries. grand design used at an important divisional point. The station is a Provincial Heritage Site.